The Twin Towers disaster, now called 9/11, brought to our attention a great need to emphasize similarities in the various religions rather than the differences, in the hope that humanity can evolve toward working on similar positive goals rather than looking on others as the enemy that needs to be destroyed. After this we presented The Principles of Unification that a reader placed on the web inviting people to endorse them. Later the site was moved and the project has been in limbo. With the added world tensions of today, perhaps it is time to renew it. With the exposure we now have on Facebook it is quite possible that we get much greater exposure. The crisis of 9-11 (2001) has brought the danger of separateness to the consciousness of humanity in the area of religion and belief systems as never before. In our history almost every conflict has been fueled by religious differences and a lack of toleration. These differences have all too often led to war, persecution and devastation. A point little realized is that there also definitely exists a similarity of belief common to all religions that is more pronounced today than ever before. Imagine what would happen if the people of the world were to focus on the similarities of belief rather than our differences. The point is that if we have our attention on similarities, then there is less attention available to focus on differences. To take advantage of this principle a plan has been developed. That plan is the Sixteen Principles of Unification. The idea in a nutshell is to present these principles to the common people of the various religions with the hope that millions will one day endorse them. When this day comes, the idea of union will begin to permeate the leadership in the various religions and governments. When this is realized, the hatred of one religion toward another will diminish and eventually all will cease their thoughts of war and live within a peaceful co-existence. Membership is free and no demands will be made on you. Your only obligation will be to accept the principles. It will be entirely up to you as to how you incorporate them into your life. There is hope in creating a more peaceful planet by reminding people of all religions that all men and women are brothers and sisters. To love one another is much more pleasing to all versions of Deity than hate. We the undersigned openly declare unto all the people living upon the planet that we seek a peaceful co-existence with all the nations, religions and inhabitants of the earth. We accept the fact that there are differences in philosophical, religious and political beliefs, but believe that the power of our unity is greater than that which separates us. 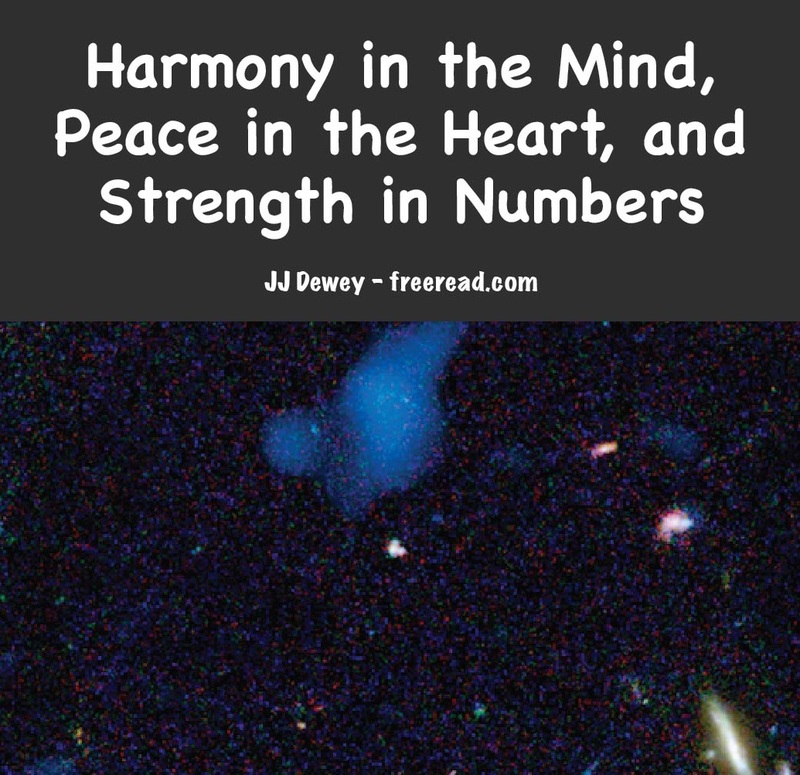 As evidence of this, we submit the sixteen Principles of Unification, which are endorsed by the hearts of the vast majority of all people of all belief systems. 1. I believe there is good will and a desire for peace in the great majority of people, groups and religions and accept the idea of peaceful co-existence as an ideal for which to strive. I further realize that the majority of people wish to live in peace despite their differing beliefs. 2. I acknowledge that there exists a higher intelligence typically thought of as GOD but referred to by a variety of names. 3. Even though this Being or Intelligence is called by differing names and descriptions, I acknowledge that this same God is over all mankind and that we are children of God, brothers and sisters. Essentially, humanity is one family. 4. I believe that the will of God would include the best possible outcome for all of humanity. The goal of “Peace on Earth, Goodwill to Humankind” is a goal I embrace. 5. I embrace the Principle of Love and seek to love my neighbor as I do myself. I seek to do unto others as I would have others do unto me. I seek to serve both God and humanity. 6. I embrace the Principle of Light in that I seek greater understanding. I realize I have knowledge of some things but do not know all things about either God or humankind, and therefore seek to know more. I believe that I can progress in knowledge and understanding of spiritual principles. I seek to ever expand my learning. I am open to a fresh outlook when greater light and truth are revealed to me. 7. I accept the Principle of Cause and Effect and embrace the simple idea as taught in all spiritual movements that good and loving deeds, actions and thoughts will bring good results, while harmful actions will bring destructive results. I therefore seek to do good to all mankind that good will return to me. 8. I accept the Principle of Freedom. I allow all people to worship, speak and believe how, where or what they may, so long as they comply with the just laws of the land (laws which protect the whole of the people). I do not support imposing my beliefs on others by force. 9. I accept the Principle of Communion. Through prayer, thought or contemplation, I can gain a greater awareness of God’s purpose, God’s will and God’s love. 10. I believe that my existence will continue even after the death of the physical body, and therefore seek to live mortal life in such a way that the afterlife of myself and others will be a happy experience. 11. I believe in the Principle of Sharing to assist those less fortunate than myself. I support the elimination of poverty, disease and ignorance from the human condition that all may live abundantly. I realize that this must be accomplished through working with the free will of humanity, not through force, and that sharing includes more than the material. 12. I believe that true spiritual principles and facts are in harmony with proven science as is all truth no matter where it is discovered. In all situations I seek to know the truth rather than settle for that which is false. 13. I accept the Principle of Harmlessness and in this spirit I do not support any first aggression toward any nation, group or individual. If there is no first aggression, there will not be a second. 14. I support the Principle of Harmonious and Good Relationships and seek to be an ambassador of goodwill with my family, friends, groups and nations that all may benefit from contact with me. I embrace kindness in all my contacts. 15. I support the Principle of Honesty and seek to tell the truth consistently. 16. I accept the fact that beneficial teachers, innovators and servants of humanity have appeared in times past for the benefit of all and realize that others will yet manifest. I seek to prepare my mind and heart to accept the good, the beautiful and the true when they present themselves. 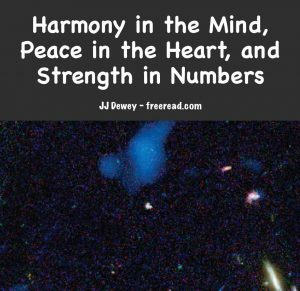 ©2001 By J J Dewey – Permission granted to republish.